Many governments are promoting a move away from fossil fuels towards renewable energy sources. However, in a study published today, scientists highlight some of the ecological dangers this wave of 'green' energy poses. "We know that burning fossil fuels is damaging the environment and warming the climate," said Dr. Luke Gibson, Honorary Assistant Professor of the School of Biological Sciences at the University of Hong Kong. "But there are also dangers from the global proliferation of solar panels, wind turbines, and hydroelectric dams." The scientists compared the environmental impacts of hydro, solar, and wind energy. Hydropower does the most damage, the scientists found. "Hydropower has degraded some of the most biologically rich habitats on our planet," said Professor William Laurance from James Cook University in Australia. 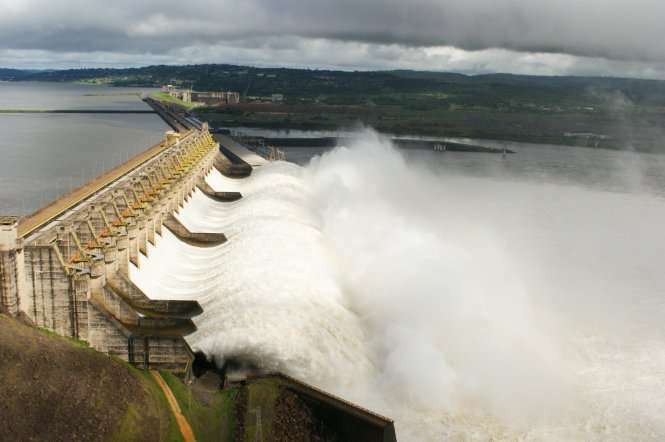 "Hydro projects are such a disaster for tropical rainforests that I don't consider them 'green' energy at all," added Laurance.Wind turbines and solar panels can also cause environmental harm, but on a much lower scale compared to hydropower. However, these industries have expanded enormously in the past decade. In total, renewable energy accounts for a quarter of global electricity generation, and China is the industry leader - producing 28% of hydro, 26% of solar, and 35% of wind energy. "We need to keep a close eye on these 'green' energy developments to ensure new projects don't harm wildlife or sensitive habitats - particularly along migratory routes where wind turbines could kill many birds or bats," said Gibson. "Renewable energy has the potential to balance the conflict between our growing energy needs and environmental security," said Gibson. "We must identify and mitigate the ecological impacts of renewable energy to ensure that its future is truly green." Among 'green' energy, hydropower is... the only one that actually creates any significant power. The question should be how much damage does hydropower make in comparison to the alternatives? What alternatives? All the intermittent renewable sources require hydropower to back them up. Smoke from coal plants kills many more animals than wind turbines do, but that goes unmentioned. I don't have the expertise to know if the study is fundamentally flawed, it's clear that the author is pursuing a narrative that green energy is bad. ... it's clear that the author is pursuing a narrative that green energy is bad. Yes, after careful reading of this link, I think you are definitely right about that. This link IS just a load of anti-green energy propaganda and thus not a true science link. It wouldn't surprise me in the slightest if this author has some sort of financial and/or political vested interest in the fossil fuel industry. If this isn't just a load of anti-green energy propaganda, it would be a big mystery why the author didn't do the OBVIOUS thing of COMPARING the damage done by green energy with that of non-green energy; OBVIOUSLY it is how those two things COMPARE that is relevant here, not the absolute damage from each without comparison. Of course the author intended to find negatives in green energy, but it doesn't mean what they found was false. We should practice accepting "reality" and not simply deny anything that didn't agree with our believes. Of course, the actual "reality" is much bigger than this one study, the fossil fuel energy itself can destroy every animal & habitat we know today. ...some sort of financial and/or political vested interest in the fossil fuel industry. ...the fossil fuel energy itself can destroy every animal & habitat we know today. Intermittent renewables are not alternative to fossil fuels, they complement each other in a symbiotic relationship. So let's face the reality: wind and solar are in bed with fossil fuels, mainly with coal and gas(fracking).